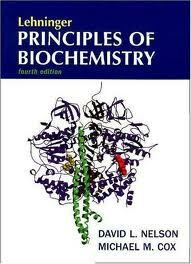 Pharmatech: Free Download of Lehninger Principles of Biochemistry pdf Book (Fourth Edition). Edited By David L. Nelson & Michael M Cox. Dear it's still working. pls try it. I can't download the file .what things I need to do to have this . The requested URL /download/21679552/Lehninger_Principles_of_Biochemistry_4th_Edition.rar.html was not found on this server.